Doesn‘t give enough of hydration to my winter dry skin. I have been a fan of ACOs budget friendliness for years. The design of this cream feels very luxurious – love the dark color, which makes the jar look expensive and it looks good on my bathroom shelf. The texture of the cream is very light and the smell is discreet but very pleasant (a bit of fresia and spring I think). Since the cream is very light it gets easily absorbed. I have dry skin and used it during this winter – and could feel that I lacked a bit of that extra hydration. I think it‘s more of a spring/summer cream. But my skin feels smooth after use, I have not yet noticed if my fine lines are less visible (which is also promised by this cream). Overall I think that this cream is a stylish wallet friendly option. Makes ones skin very sticky after application. My mum gave me this sunscreen mousse before I went on vacation. Thank god mum doesn‘t read my blog cause I have to honestly say – this mousse is pretty darn bad. It does protect one from the sunny, but your skin feels beyond sticky and one just gets uncomfortable. First and foremost, the texture of this mousse is a bit like its supposed to be put in your hair and not on your body (its not a “soft” mousse – if that expression makes any sense). If you try to apply it on dry skin you will never be able to distribute it evenly – so you have to first go in the water. Thirdly – the cream never gets properly absorbed so you walk around all sticky – a major no for the beach. Therefore I will never ever buy this mousse again (sorry mum!). It also gets a low rating in the value for money category since its hard to evaluate how much mousse you need and end up getting to much per spritz. After using this lotion I dont need to use a body lotion – it works like a two in one. This lotion takes a while to get absorbed. Lovely readers, summer is just around the corner and therefore this month is all about the sun and how you protect yourself from it. Therefore we will try to squeeze in as many reviews of sun lotions as possible. How did she manage to review so many sun lotions living in Scandinavia you ask ? Because it certainly ain‘t summer there yet (and you are completely right about that! Some years the summer doesn‘t really show up here at all and you have to spend July under an umbrella pretending that rain is nice too). 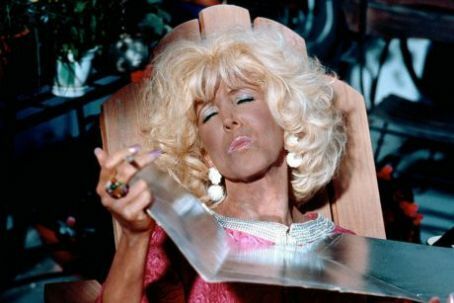 Well – i took a small vacation in January this year – two months to be precise – and had plenty of opportuneties to review all my yays and neeeeeeis of the sun protection creams I went through. So here we go: this lotion gives good protection against the sun, it also works as a body lotion so one doesn‘t have to apply that since your skin is baby soft after a day at the beach with this sun lotion. A bottle also lasts long which is a plus and price is budget friendly. What is the minus? It takes a while to get absorbed and therefore one may feel a bit sticky – a very unwelcome feeling on the beach. Good cleansing and leaves my skin very soft. Could have had more of a “smell”. I remember when I first tried a toner water on my face – oh what a true revolution it was (piles of dirt came off my skin – literally). Having had the pleasure to travel for 2 months straight at the beginning of this year – I sort off had a beauty crisis when I ran out of to toner half-way through (and I was on island where there were no toner to buy – you were lucky if you got hold of some old overpriced Nivea sunscreen). So when I came home to this new toner from Swedish ACO I was thrilled – and literally rubbed it on my face 3 times a day for the first week (..and the dirt kept on coming off…). So what do I think of this toner..first and foremost, one can just spray it on ones face which is very convenient. Secondly my skin feels very soft afterwards (which has been much needed since coming home has been a chock of cold). Thirdly I have never seen so much dirt come off my face when using a toner, so I‘m figuring it‘s doing a decent job. The bottle is huge thus the toner lasts for long which I like since my budget is tight after all this travelling. What didn‘t I like: the smell is very nice and discreet but I would‘t have minded if it was a bit stronger.